Many dream of taking a country cottage holiday in Wales to spend enjoyable time in the awe inspiring Snowdonia national park. Similarly, others opt for a cottage holiday in or near the Brecon Beacons to enjoy the great outdoors. 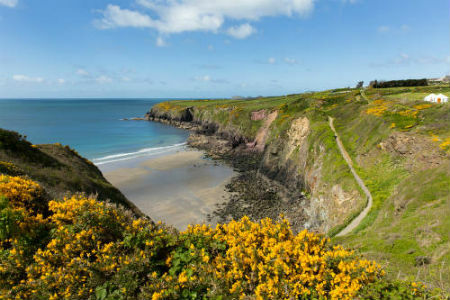 Wales also has miles and miles of stunning coastline where you may be lucky enough to spot puffins or seals. Whether you enjoy rambling, mountaineering, wildlife watching or just love fantastic scenery, Wales has lots to offer for self catering holidays. Wales is a good choice for many for family breaks. There are lots of opportunities in Wales for outdoor activities which both adults and children can enjoy with the added benefit of tiring kids out, leaving you hopefully to have a relaxing evening whilst the kids sleep. Where budgets allow, there are some large country cottages in Wales with games rooms which are always good for keeping the family occupied but there are also cottage complexes which very often have shared family friendly facilities like games rooms or pools. Wales isn? just for families though, with stunning scenery, Wales is equally suited for romantic cottage breaks. Wales is home to three national parks. These are Snowdonia which covers both mountainous and coastal areas, the Pembrokeshire Coast and the Brecon Beacons. Wales is a country with great natural beauty and should have something for everyone. Wales is a particularly good choice for a self catering holiday if you enjoy active outdoor activities but there are also plenty of opportunities for relaxing if that is what you prefer to do. If you are looking to recharge your batteries you may like to find accommodation with a hot tub or a swimming pool. Wales even has a number of seaside resorts if you love to spend time by the sea. One thing is for sure, Wales is a country with a proud sense of its identity and heritage. This makes Wales an interesting and appealing country for a break away. Self catering accommodation in Wales is varied and there are small cottages for couples and large ones for families or big groups. Some have added extras like four poster or king size beds. If ratings are important to you, then look for 5 star assessed cottages or if being green is essential to you, search for a Welsh cottage with a green tourism gold award. If you have special requirements do use our search assistant to help you find a cottage in Wales to meet your needs. Cottage owners or agencies can also be really useful sources of information when it comes to advising on the local area and the best places to go and the best things to do. Do ask them for their list of recommendations when it comes to booking your cottage break in Wales.